The tenth and final season of “Smallville” might’ve not been the best, personally I felt season nine was pretty damn good, but the writers and producers put forth a season which finally dealt with many of the internal issues plaguing Clark Kent and friends in 21 episodes. There was still the whole Jekyll and Hyde aspect to Clark and his relationship with Lois where in one episode there dutifully in love and ready for marriage and then in the next, Lois realizes she’s taking too much time from Clark who should be out there saving people. Those feeling soon subside, within an episode, and the marriage is back on. This isn’t something unique to season 10 as the will they, won’t they question has permeated throughout the series be it between Clark and Lana, Clark and Lois, Oliver and Chloe and very early on, Clark and Chloe. It’s a soap opera, just with superheroes and some DC material/characters thrown in for good measure. And that’s more or less been the pattern for the series, with some good and dynamic scenes throughout but after a decade, the time had come for it to end. I have to admit, for all the problems some of the plot and character elements presented in previous seasons, the writers still manage to put together some fun and dramatic storylines often confined due to restrictions placed by Warner Brothers so not to interfere with their DC line of theatrical releases (thus why Bruce Wayne and his alter ego never made an appearance). And in particular, this season they manage to put all the pieces together to make the best final season as possible despite budgetary constraints that would limit visual effects (a big deal when showing Darkseid and Blue Beatle) and gathering cast members. 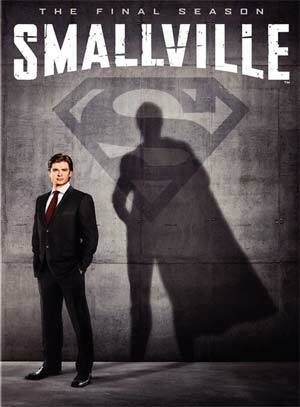 In any event, “Smallville” The Final Season opens where season nine ended. Clark (TOM WELLING) had just sent General Zod and his followers through a wormhole to the Phantom Zone, stabbing himself with the Blue Kryptonite dagger but in opening the portal, he let Darkseid in to this world, a being that preys on people’s doubts and weaknesses. Lois Lane (ERICA DURANCE) knows Clark is in fact The Blur thanks to a kiss and is on scene to remove the dagger. Darkseid marks his first victim with radio talk show host and avid critic of the superheroes, Gordon Godfrey and picks up more supporters in his quest to destroy Earth and its defenders. Meanwhile, as the romantic sparks between Clark and Lois continue to thrive, culminating with Clark finally revealing a secret she’s known for some time, the relationship between Oliver (JUSTIN HARTLEY) and Chloe (ALLISON MACK) is put on hold. At the end of season 9, Oliver is captured by a group – who we later find out is the Suicide Squad – and she exchanges her life for Oliver’s. This is more of a way for the actress to exit the show for a few episodes before marking her return about half way through for a total of five episodes in the tenth season. In between the storyline with Darkseid and his plans to destroy the planet, using the doubts and fears of all citizens (signified with an invisible Omega mark on the forehead), we get some off shoot episodes that vary in tone from serious, including the potential return of Lex Luthor via clones and Tess learning her true identity as well as some more light-hearted episodes like in ‘Fortune’ where Chloe harnesses her inner action heroine on. Back to Darkseid, though, while I was excited to see what the show’s writers would do with this villain, I was also dubious because they had done a pretty good job setting up the Doomsday storyline only to fumble the ball with a disappointing and honestly poor final fight between Super…, I mean, The Blur and Doomsday. I understand it’s a television series with a limited budget, but it was disappointing to say the least. Anyway, with the season 8 season finale on the mind, I went into the two-part series finale with doubts but was pleasantly surprised with the outcome, albeit it was far from perfect (hint: we only barely see Welling in the Superman suit). “Smallville” has always had a checkered history with its writing especially after the fourth season but one thing that I’ve always felt was consistent was the casting and acting. For all his doe-eyed looks, especially during the Lana Lang phase, Tom Welling does a great job carrying the series and bringing respect to an iconic character even if it is without the suit. He balances the physical nature for the action scenes with the more dramatic moments and in this tenth season; you can see how he’s grown up. Similarly, the supporting cast holds their own and sometimes has to carry an episode or two: Allison Mack, the next veteran cast member next to Welling, deserves respect for sticking around as long as she did and putting her stamp on a character created just for the series (leading some to speculate she would be killed off). Justin Hartley as Oliver Queen is fairly one-note as a character this year where in the first half he’s despondent over Chloe’s disappearance and the second half he seems like a background player compared with the rest. He does get one episode where he helps out Kara, making two appearances this season before leaving for her own path (as instructed by Jor-El so that Kal-El may fulfill his destiny). Cassidy Freeman, the newest member of the bunch entering her third season, is the most schizophrenic character going from a bad girl and heir to the Luthor evilness when Lex departed to a bit morally ambiguous last year to a completely good girl who helps run Watchtower during Chloe’s absence and even helps Clark. However, the award for best performance has to go to Erica Durance. Sure, the writing might not be top notch, but I think she’s easily the best woman to ever play Lois Lane; yes even better than the venerable Margot Kidder. Durance does a great job balancing sexiness, toughness and tenacity, traits that describe Lois Lane and hasn’t really been replicated in live action form. This season also marks the return of several characters – and some new ones as well – in guest supporting roles: John Schneider and Annette O’Toole as Jonathan and Martha Kent (the former as a ghost or memory, depending on who you ask), Michael Shanks as Carter Hall/Hawkman, James Marsters as Brainiac 5, John Glover as Lionel Luthor (an alternate universe version, taking a page from “Fringe”), Julian Sands and Helen Slater as Kal-El’s parents in the flesh (Terence Stamp as the voice of Jor-El), Teri Hatcher as Lois’ mother and of course, after much reluctance and even prodding, Michael Rosenbaum as the Lex Luthor. “Smallville” The Complete Tenth Season is far from perfect as the writing isn’t the greatest (something that’s mostly plagued the latter seasons) but thanks to a great ensemble cast and clever insertion of DC characters makes this a worthy final season. I know many didn’t care for the series finale but I thought it was fitting enough even if we never truly see Welling in the full Superman costume, though I suspect it’s due to the fact the Routh suit won’t fit Tom Welling. Like for the season 8 release, The Complete Tenth Season comes in a HD Keep Case with a side sliding, matted slip cover. Inside the case is an episode guide containing the plot synopsis and features. While not a big deal, I was disappointed in the cover artwork. Sure, it’s classy but does not match the previous sets which normally had close-ups and one of the supporting actors along with Welling. Back in the Jacket: A Smallville Homecoming (19:44) takes a look at the ‘Homecoming’ episode, going back to the roots and re-meeting people from earlier episodes. This includes interviews with various cast (Erica Durance, John Glover, James Marsters) and crew members who have worked on the series over the years. The Son Becomes the Father (16:51) – This featurette goes into the psychology of the father-son relationship between Clark/Jonathan/Jor-El and Lex/Lionel. It’s a pretty basic featurette but you get comments with psychology experts and members of the cast and crew. Deleted Scenes (7:07) – There are a few inconsequential scenes from ‘Shield’, ‘Supergirl’, ‘Abandoned’, ‘Beacon’ and ‘Scion’ dropped probably due to time restraints or because they’re redundant. “How We Do” (3:31) is a music video by Swank and features Cassidy Freeman and Alessandro Juliani from the episode, ‘Fortune’. 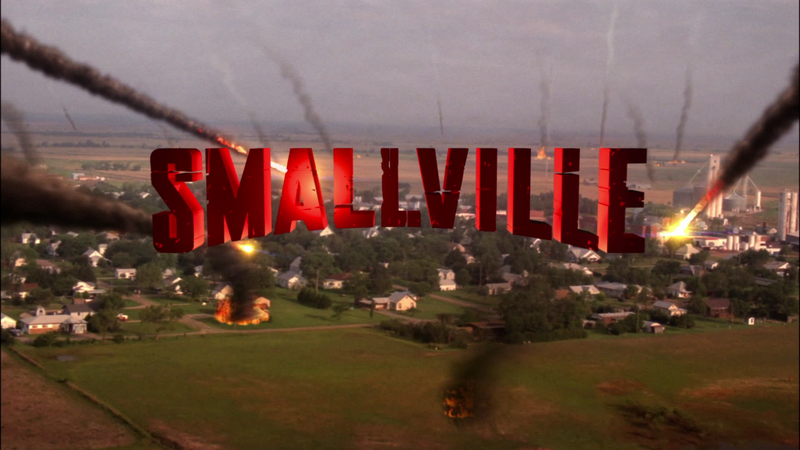 “Smallville” The Final Season makes its way onto DVD with a fine looking video transfer. The 1.78 anamorphic widescreen transfer certainly has some problems with artifacting during close-up shots and even some pixilation, but for a SD release, it’s acceptable. The Dolby Digital 5.1 is also merely acceptable with clear dialogue levels but the action scenes come across a bit flat with the blunt force coming via the center channel. I didn’t notice a whole lot of use from the rear channels but the bass does get some slight rumblings here and there. Overall, “Smallville” The Final Season is hardly perfect and there’s still issues with the writing, but I thought the season long plot and the forwarding of the Clark and Lois relationship makes this a solid year and far better than the ninth season. The DVD has acceptable if unremarkable video and audio transfers but the features once again fall short. If you can grab this release for under $30 and you’ve been a fan of the show over the years, it’d be worth the price.